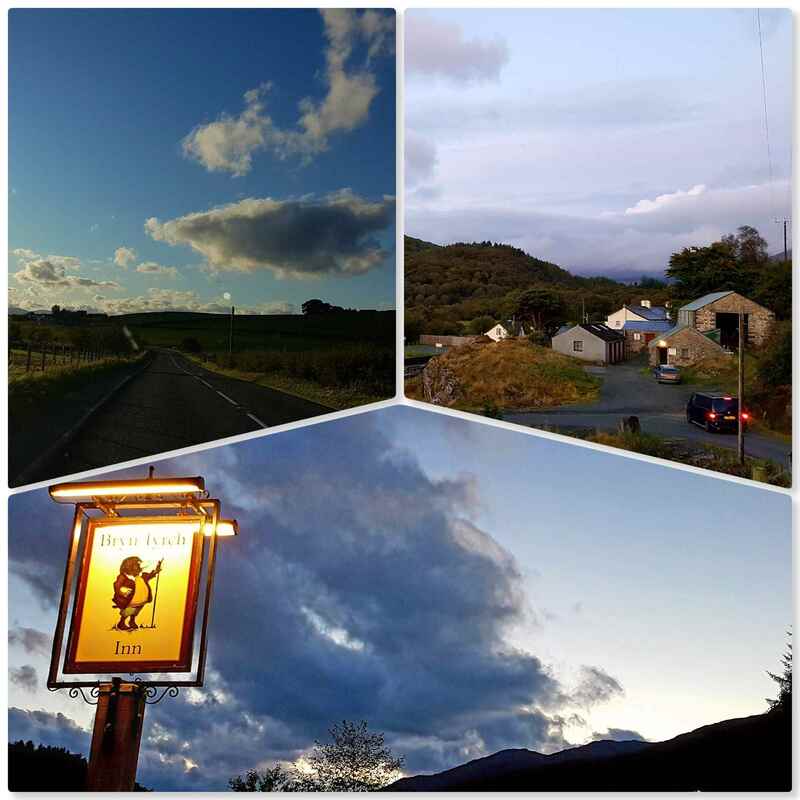 Day 2 of our Grumpy Chums adventure brought us to the beautiful Cadair Idris range. These mountains are stunning to look at and a joy to walk. 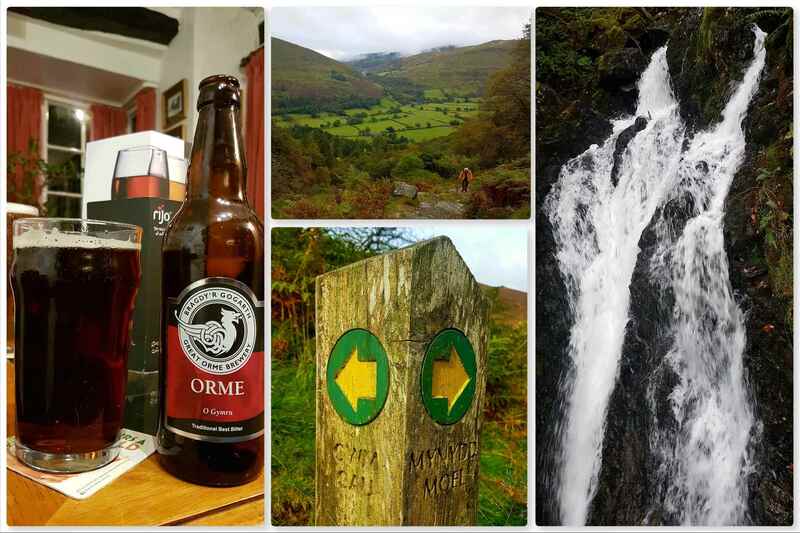 The walk starts steeply, up through beautiful woods, with raging waterfalls and great views back down into the valley. Our route was in a clockwise direction up to Llyn Cau, following the Minffordd path, over Craig Cau, Penygadair, Mynydd Moel before returning to the car park at Dol y cae. We finally reached the summit of Penygadair however the visibility was as usual zero. We had a quick break in the bothy there and were soon heading over to Mynnd Moel and down. Half way down the clouds lifted and we were treated to a breathtaking view of the whole horseshoe. Once we got down it was time for the long trip down to the Brecon Beacons. 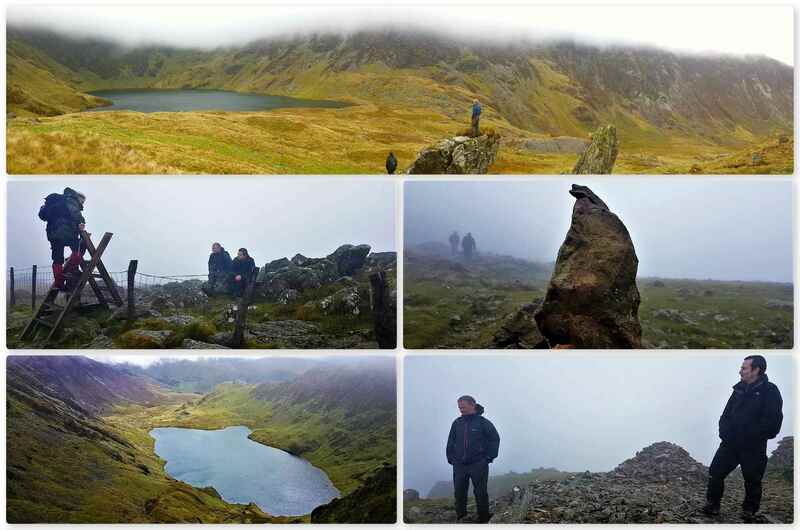 Enjoy the video below of what I think is a brilliant playground – Cadair Idris. ‘We need a new challenge’ – from a conversation one night in the pub with the rest of the Grumpy Chums. 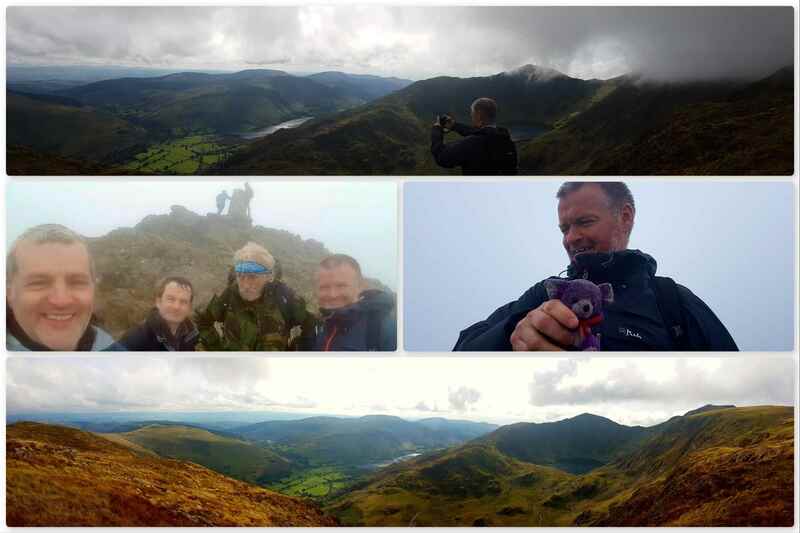 The guys were looking for something a bit more challenging this time and I remembered seeing a picture on Facebook by my friend Shelly Bristow of her completing the Welsh 3 Peaks Challenge – Snowdon, Cadair Idris and Pen y Fan – so I put this to the guys and we were soon on our way. Unlike Shelly though we opted for the more sedate challenge of one mountain a day and to make a long weekend of the trip. 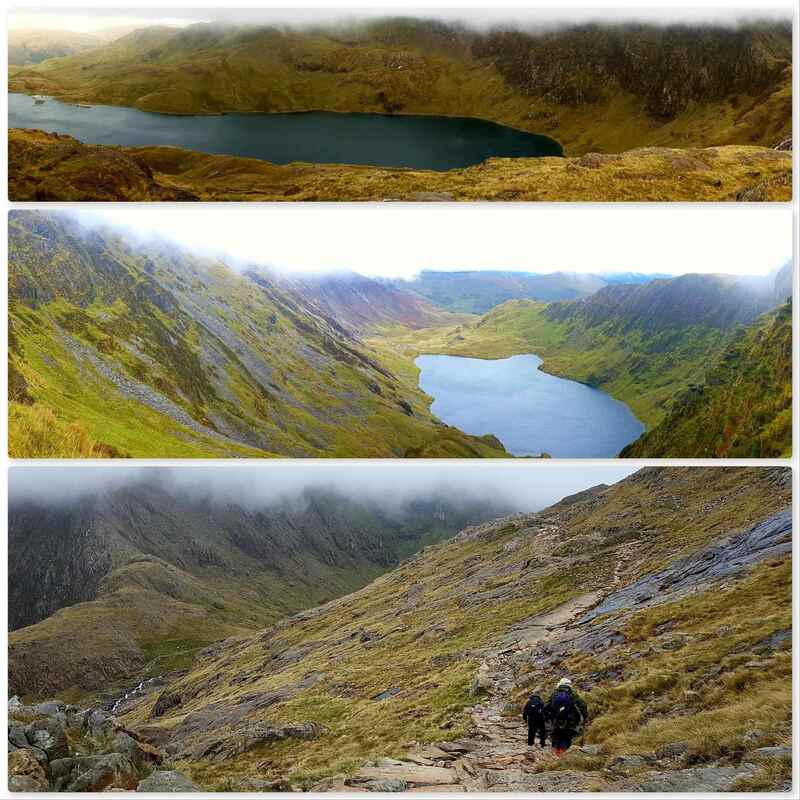 We headed (last September) for North Wales to tackle Snowdon first. As the weather was expected to be very bad with high winds and driving rain I opted to keep the group to the main tracks. We started from Pen y Pass car park, followed the Pyg track to the summit and descended on the Miners track. Starting off we were in the shelter of Llanberis Pass however as soon as we crossed over the pass below Crib Goch the wind really picked up. There was no rain but we could see the heavily water laden clouds above us – we made best of the views of Llyn Llydaw and cracked on up. We soon entered the clouds and the rain soon got into every nook and cranny. On the way up I chanced upon two friends Jacques and Deano coming down from the summit (Deano had been getting his nav tested by Jacques in readiness for his Mountain Leaders assessment). 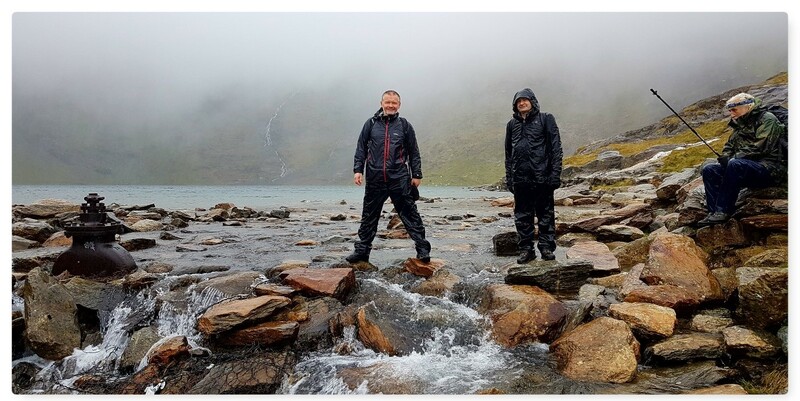 I spotted quite a few people ascending Snowdon in trainers, jeans and cotton jackets – it makes me wonder sometimes what people think mountains are all about!!!! 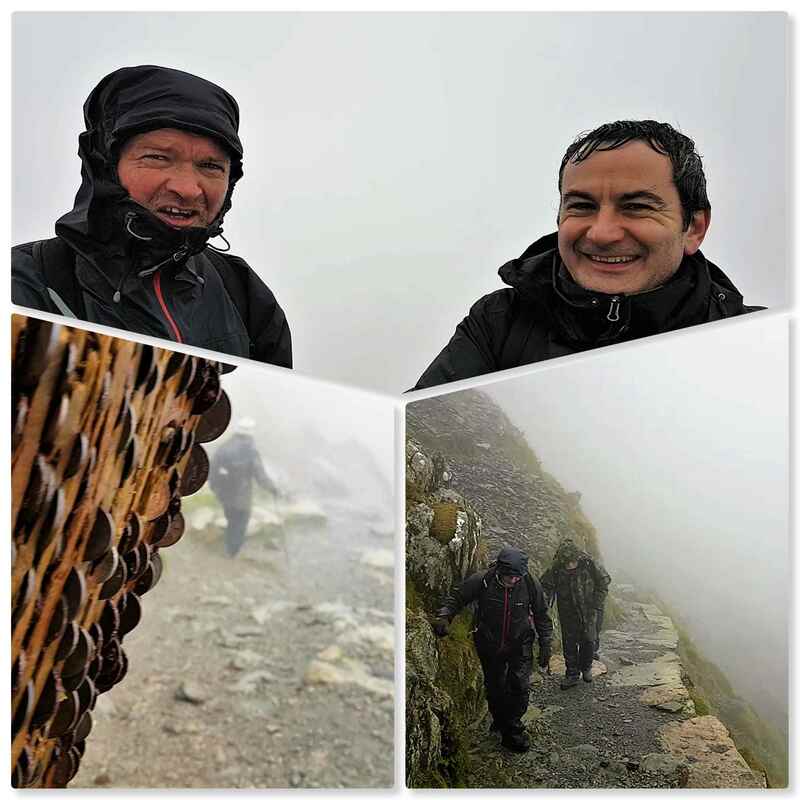 Topping out on Snowdon was great as the wind and rain really tested everyones spirits. We did not hang around long but did chat for a while with a radio ham who had hauled all his kit to the top of the mountain. We all came off the mountain soaking wet but in good spirits. 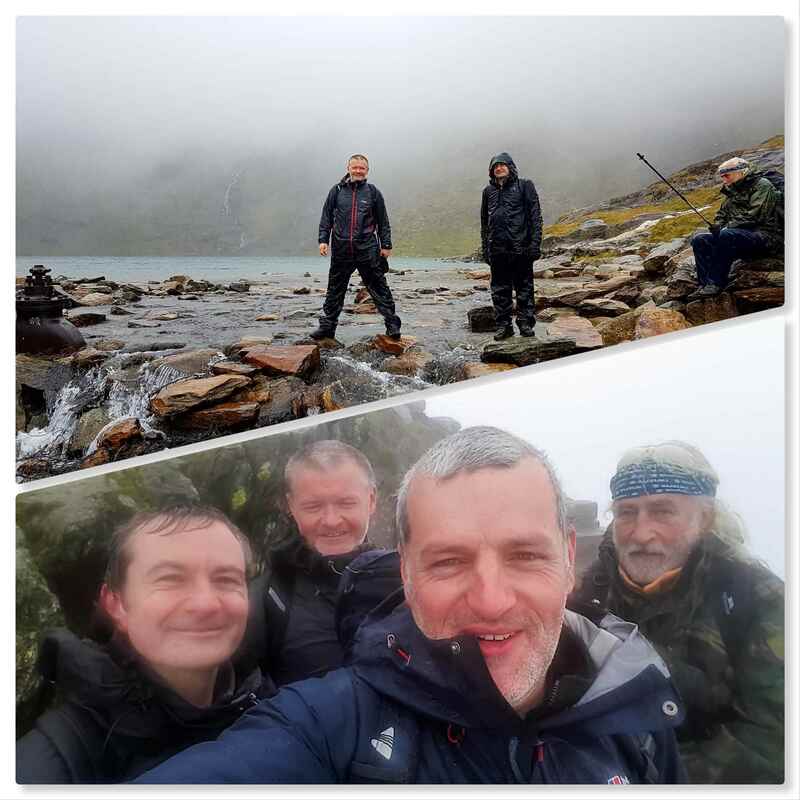 I put together a short video of what was a very drafty and damp day on Snowdon. 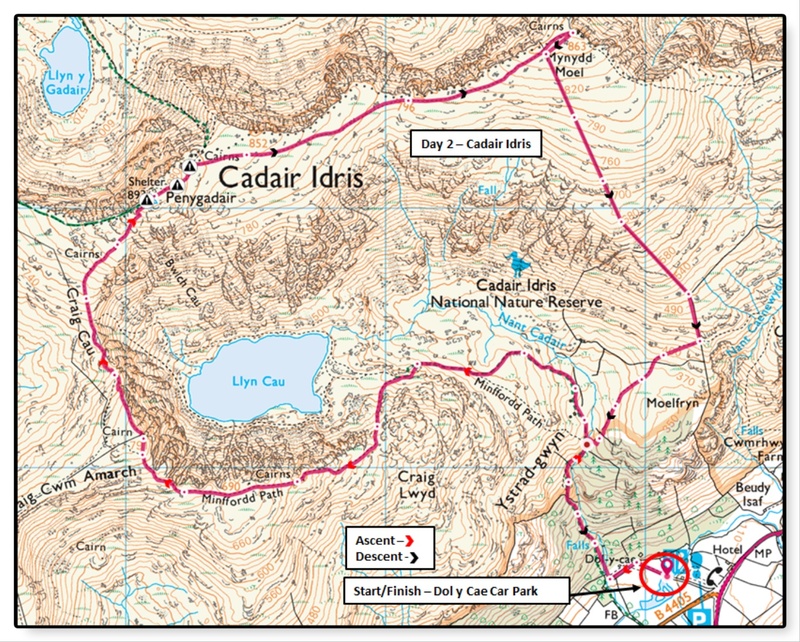 Parts 2 & 3 will cover our days in the Cadair Idris range and around Pen y Fan. Last September I came back from France straight out onto Hankley Common in Surrey. 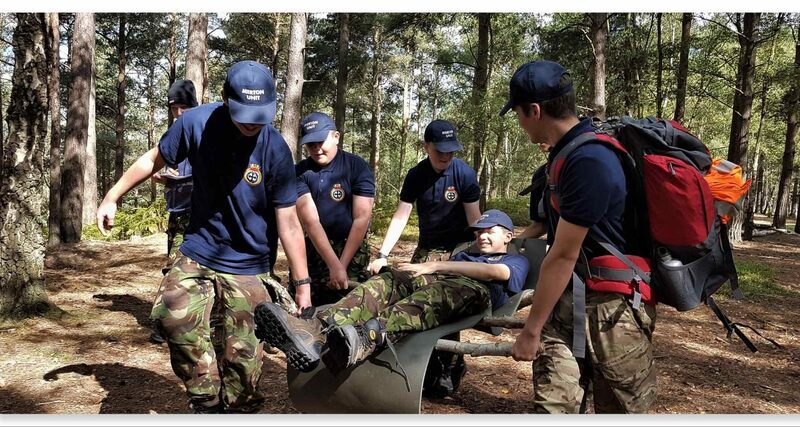 I joined Sea and Royal Marine Cadets from our Southern District in London. 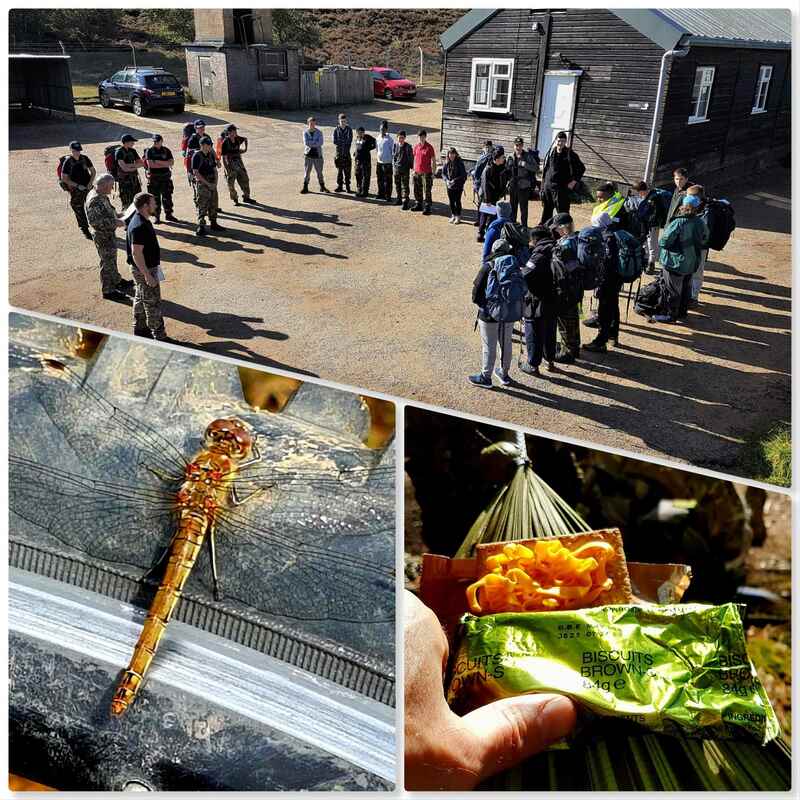 The weekend was about training and testing teams in Adventure Training. 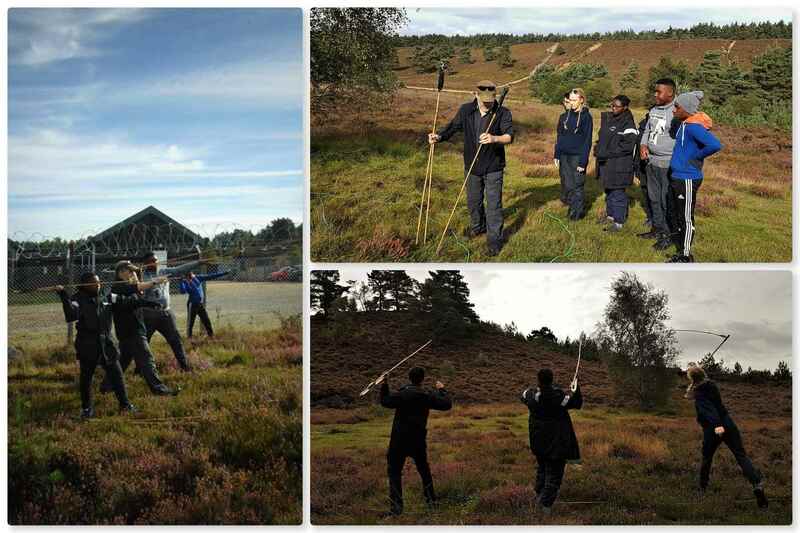 Hankley Common is a training area I have been going to since the late eighties. It is predominantly sandy and as it was used as a testing area in World War II there is a lot to explore. 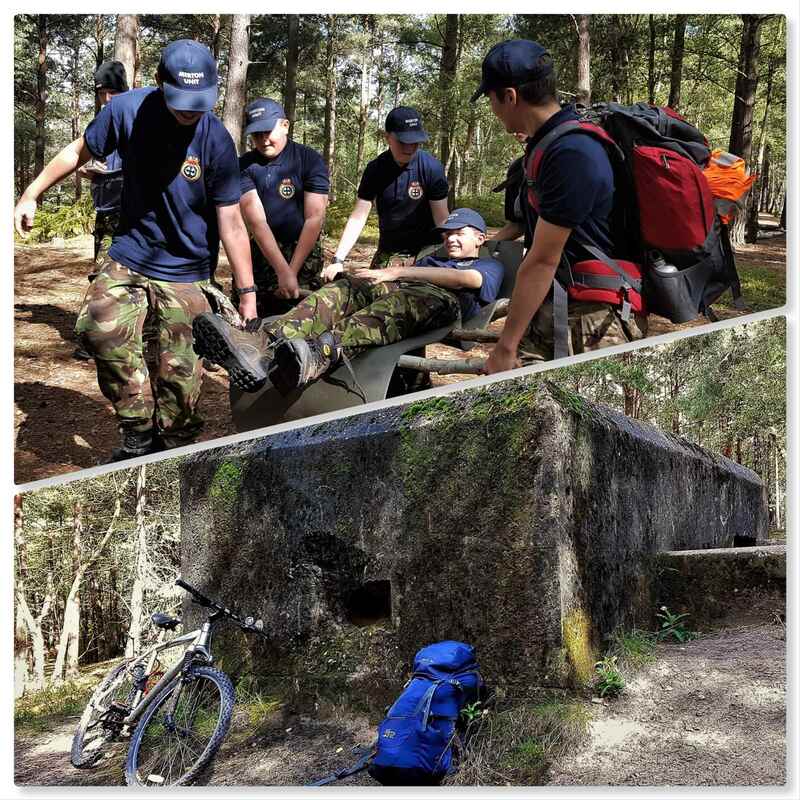 One of the stances had a lift and shift across a hillside – the cadets had to devise their own stretcher from what was in their packs. I also explored one of the old bunkers that were used to test out artillery shells. The slit showed damage from direct hits and if you shone your torch inside you could see the impact points from shells that had gone right through. 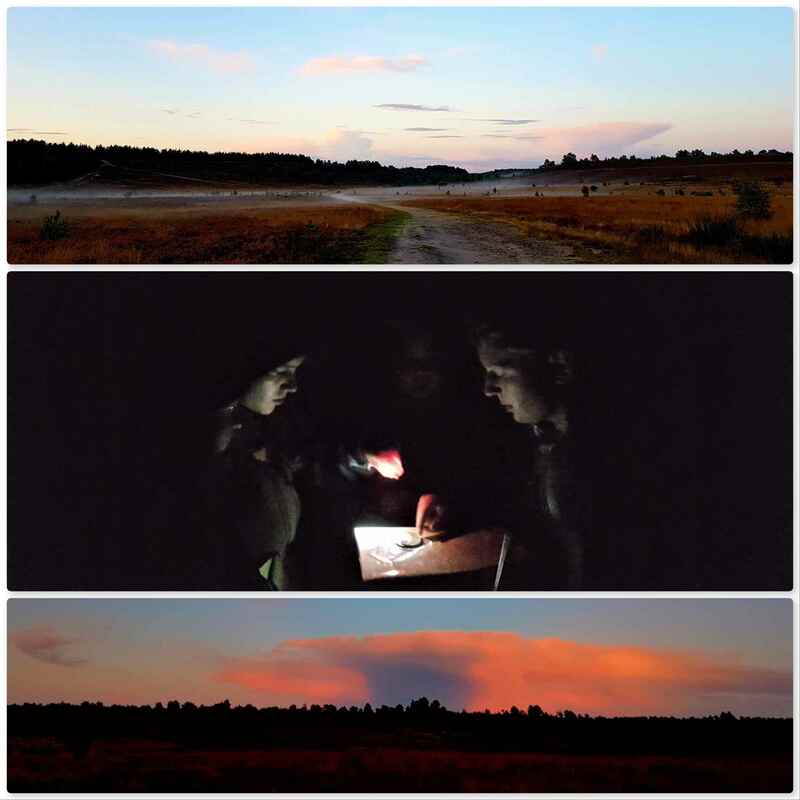 Another job I got was to set up the Night Navigation exercise. 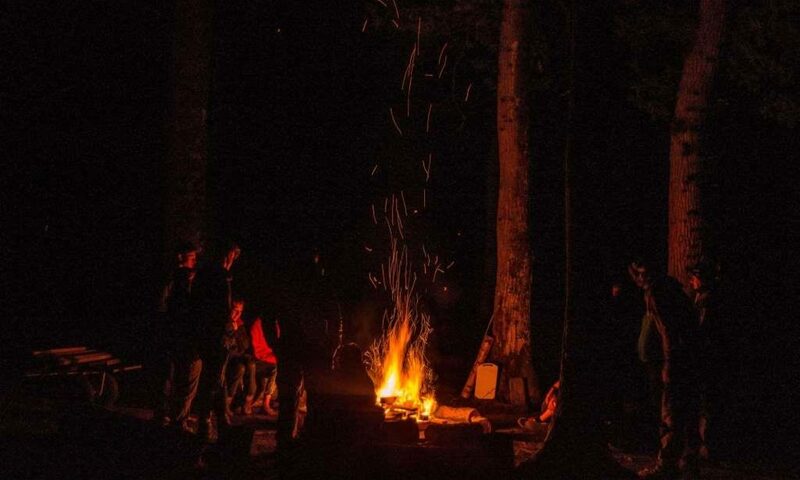 The cadets had to navigate without torches (thankfully the moon came out later) around the common to different locations using only bearings and pacings. The bunker you saw in the previous picture was the final destination – hard to find navigating over the featureless moor and dark woods. After an excellent night in my hammock it was time to run the stances. I ran the Atlatl stance so I did not get a great deal of time to see what the others were up to. 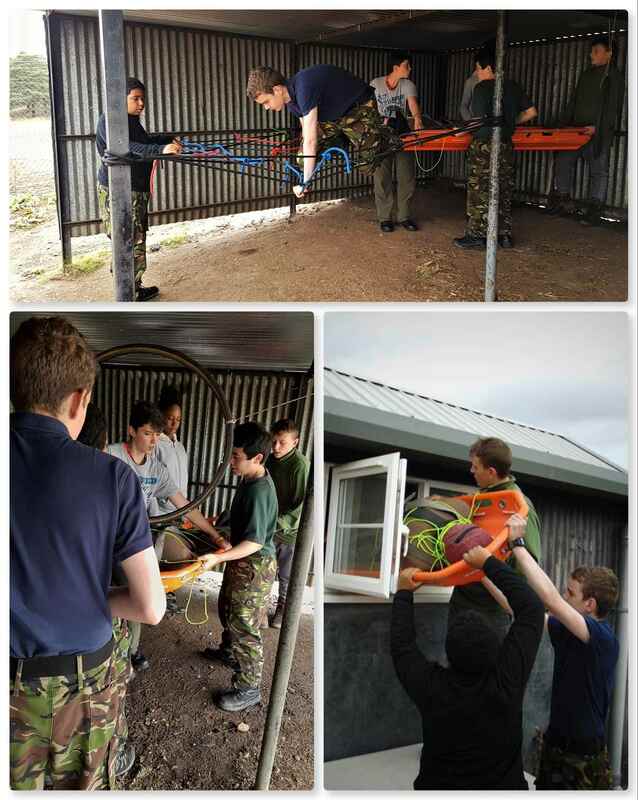 I did though spot that there was a First Aid stance and the cadets were put through their paces on a ‘Rigging Rescue’ 🙂 There were other stances such as navigation, basha building and ropework. 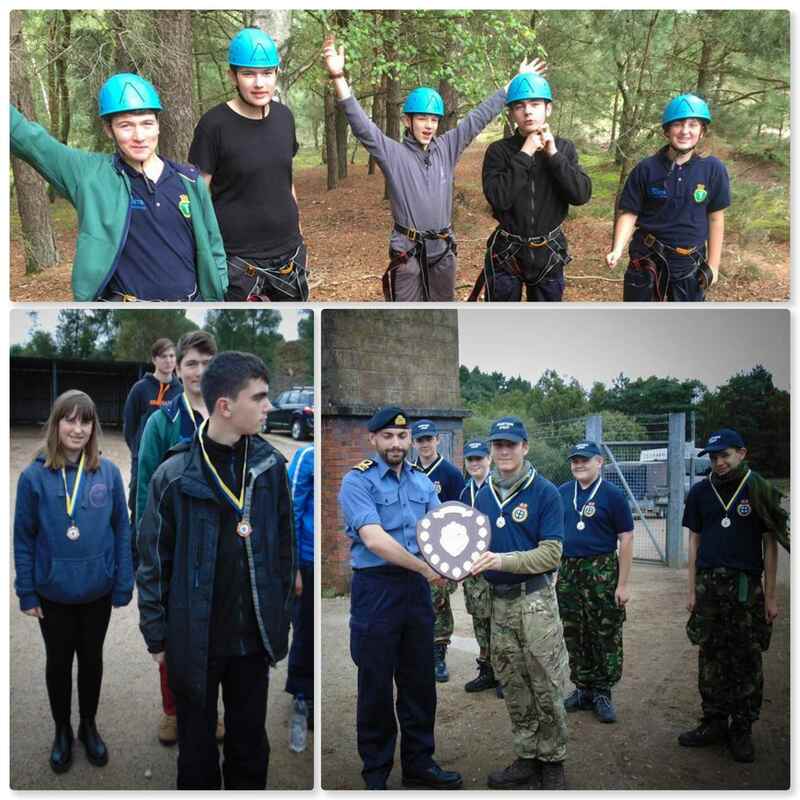 Thank you Ben and the rest of the Southern District staff and Cadets who made my weekend so enjoyable.